When will be This Is Your Life (UK) next episode air date? Is This Is Your Life (UK) renewed or cancelled? Where to countdown This Is Your Life (UK) air dates? Is This Is Your Life (UK) worth watching? 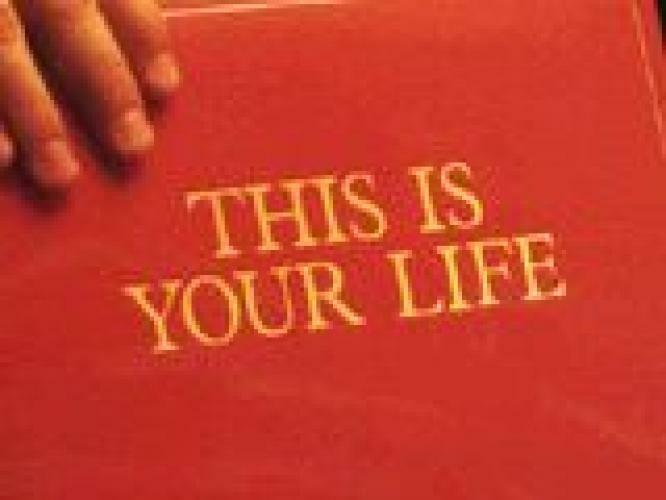 This is Your Life was a long-running British reality show in which a celebrity guest star is given "The Red Book" by the host. Next, the host constructs a biography of the celebrity with help of friends and family members that appear on the show. The series finished airing on ITV in April 1993 but would return on BBC1 in November 1994 with the same host. EpisoDate.com is your TV show guide to Countdown This Is Your Life (UK) Episode Air Dates and to stay in touch with This Is Your Life (UK) next episode Air Date and your others favorite TV Shows. Add the shows you like to a "Watchlist" and let the site take it from there.